If you have any questions about the SURI information page below please contact us. This motor yacht SURI is a 53 metre 173 (ft) sizeable steel luxury yacht which was made by Halter Marine and designed by Kirilloff & Associates (Refit) and Stan Antrim, Yes (Refit). A noteworthy support yacht SURI is a very high quality United States built superyacht which was launched to celebration in 1978. Sleeping 8 passengers and 10 professional crew, motor yacht SURI used to be Fierce Contender as her shipyard project name and/or yacht title. She could be considered a older support yacht. Finished and launched for 1978 the comparatively older interior design showcases the established conceptualisation from Jeffrey Bottwin (Refit) and their approach to interior yacht design. The impressive 173' support vessel "SuRi" is the shadow yacht to the 50 meter Hakvoort “JeMaSa”. 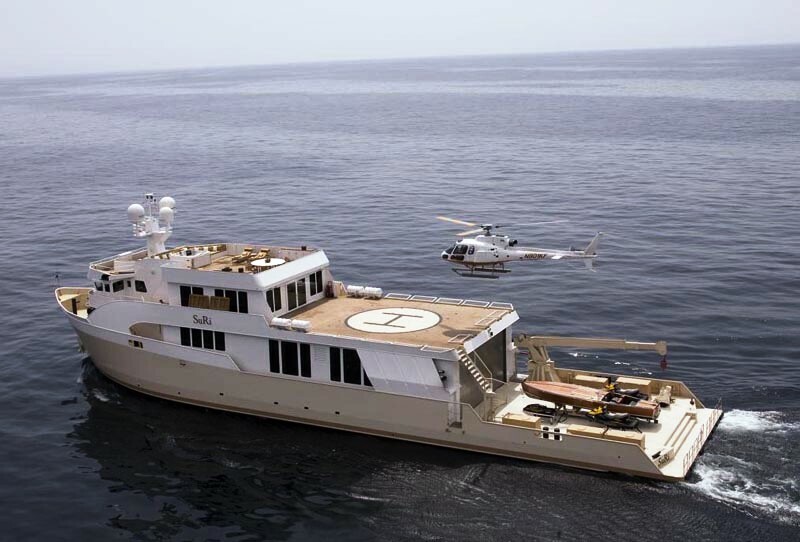 The yacht has a commercially certified helicopter deck with a hangar offering storage for the aircraft and the usual assorted of tenders and toys. Kirilloff & Associates (Refit) was the naval architect involved in the formal nautical plans for SURI. Her interior design was conceived by Jeffrey Bottwin (Refit). Kirilloff & Associates (Refit) and Stan Antrim, Yes (Refit) is also associated with the yacht general design work for this yacht. 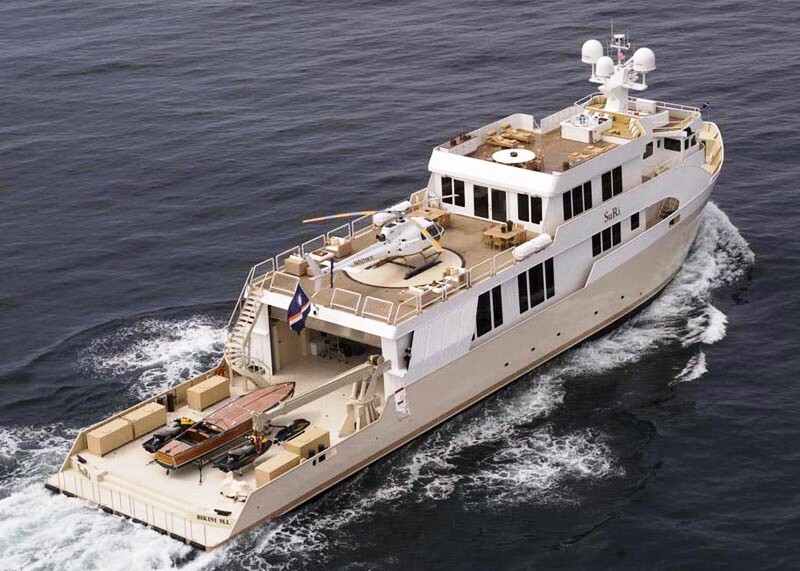 the United States is the country that Halter Marine completed their new build motor yacht in. After her official launch in 1978 in New Orleans LA the boat was released to the yacht owner following sea trials. A fairly large area is achieved with a total beam (width) of 11.58 m / 38 ft. With a 3.35m (11ft) draught (maximum depth) she is deep. The material steel was used in the building of the hull of the motor yacht. Her superstructure above deck is fashioned from steel. In 2007 extra refitting and modernisation was also performed. Fitted with two GM diesel main engines, SURI is able to reach a high speed of 12.5 knots. She is driven by twin screw propellers. She also has an economical range of 9900 nautical miles whilst underway at her cruise speed of 11 knots. Her total HP is 1940 HP and her total Kilowatts are 1446. Concerning bow thruster maneuverability she was built with Gm Dd 8v71 300hp. For stabalisers she uses Flume Tank. 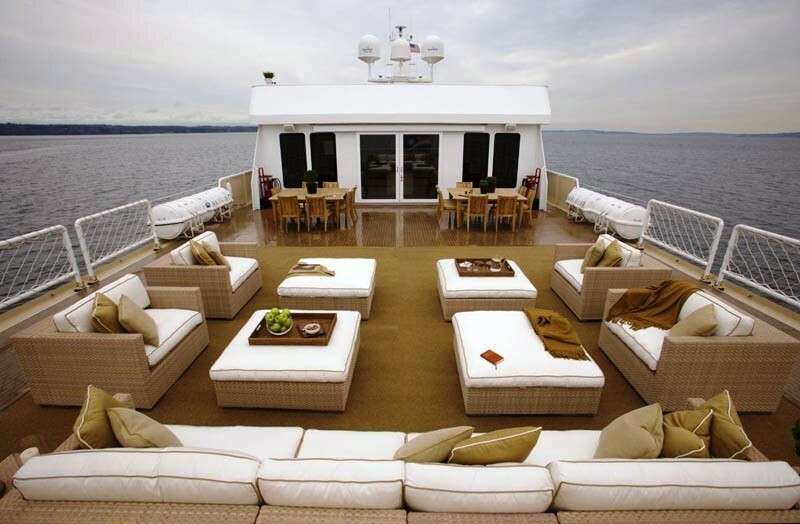 The large luxury yacht M/Y SURI is able to sleep a total of 8 passengers and has 10 crew members. 52.73 metres / 173 feet. Her Engine(s) is two 970 HP / 723 kW GM. The Model type is 16V 149 DD diesel. Her top Speed is around 12.5 nautical miles per hour. 9900 at a speed of 11 knots. 2 times 99 kilowatts & 1 times 65 kilowatts. The minimum draught is 2.44m/8ft. She does have a helicopter pad which means there is extra availablity for guest transport between the yacht and another ship or land base. 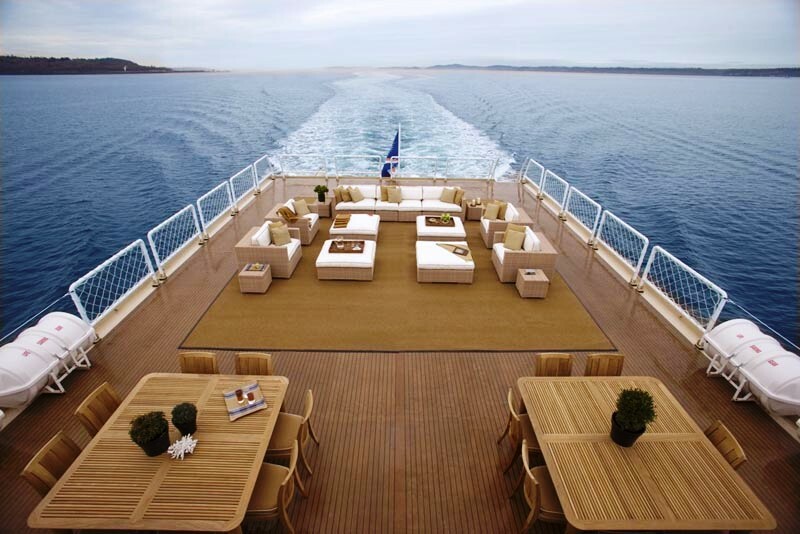 This motor yacht has a flexi teak deck. 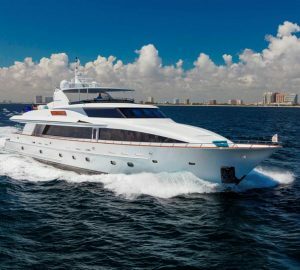 The luxury yacht SURI displayed on this page is merely informational and she is not necessarily available for yacht charter or for sale, nor is she represented or marketed in anyway by CharterWorld. This web page and the superyacht information contained herein is not contractual. All yacht specifications and informations are displayed in good faith but CharterWorld does not warrant or assume any legal liability or responsibility for the current accuracy, completeness, validity, or usefulness of any superyacht information and/or images displayed. All boat information is subject to change without prior notice and may not be current.